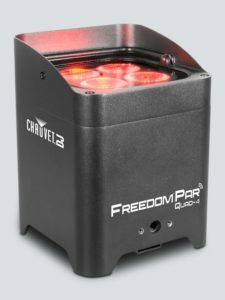 We have just added a large number of the Chauvet Freedom Par Quad-4 LED lights to our national inventory. The technology is a game changer, providing true freedom of placement that would have previously been very challenging and requiring extensive rigging labour. These fixtures are powerful, bright and, truly 100% wireless with a rechargeable battery and a built-in D-Fi transceiver. Freedom Par Quad-4 has 20 watts of RGBA color mixing for that extra richness and variety that amber adds to colours. It can be operated by a console over wireless, with the on-board control panel, the included IRC-6 remote, or even from any mobile phone or tablet running the FlareCONmobile app. Freedom Par Quad-4 fits perfectly inside box truss and travels safely using the Freedom Charge 9 road case. To combat the ever increasingly busy wireless spectrum, AV Strategies has invested in Shure Axient Digital wireless microphones for all our branches. 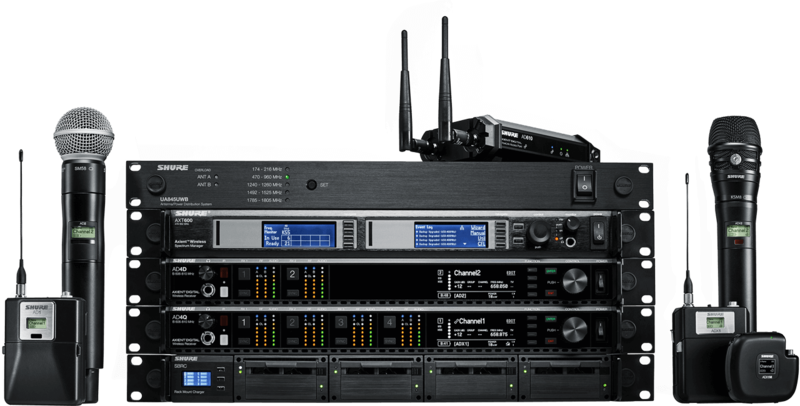 Shure developed the Axient Digital wireless solution to provide superior RF and audio robustness, as well as scalability and connectivity. Axient Digital provides control for transmitters in a wireless system. Transmitter registration allows users to ensure that only desired units are passing audio, regardless of encryption status or model. Receiver channels can be linked to up to eight transmitters at a time, and the active transmitter can be managed and switched remotely. This enables the sharing of frequencies across transmitters that do not operate simultaneously, which is ideal for monitor mix tech’s that have to manage several bodypacks for their talent, or for presenters at corporate events, who may switch between a handheld or bodypack transmitter. 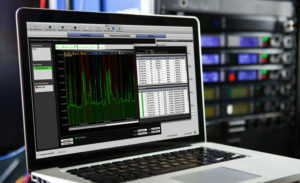 Audio technicians have complete control over the system using Wireless Workbench 6, a powerful software suite offering command and control functionality. Digital systems also tend to have ‘better audio’ from a dynamic range and frequency perspective because analogue wireless systems compress the dynamic range of the audio in order for it to be carried on a radio wave. Our objective with any new equipment purchase is to invest in technology that addresses common problems and offers significant benefits to our clients. We are continuously researching the latest technology to ensure your event runs smoothly. Last week, AV Strategies provided the complete audiovisual solution for the LINUX Foundation’s Open Source Summit North America which took place at the Vancouver Convention Centre WEST. Open Source Summit is the leading conference for developers, architects, and other technologists – as well as the open source community and industry leaders – to collaborate, share information, learn about the latest technologies and gain a competitive advantage by using innovative open solutions. 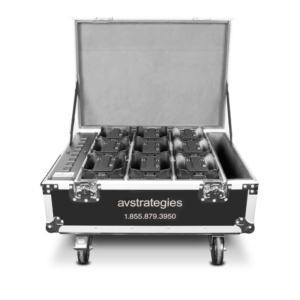 AV Strategies has been supporting The Linux Foundation since 2011. We handle multiple events each year across North America. At OSS NA we provided a full suite of technologies and the complete audiovisual package for the keynote room which featured our d&b V-series line array for audio, our Christie HD laser video projectors for content display and our Christie X20 Spyder switcher for seamless matrix routing. We also incorporated our EPIX modules as a key set element on stage. These LED light boxes display a variety of visual content from our one of our lighting media servers and create dynamic colour and movement for the stage. The show featured a large tradeshow component which we supported with multiple HD monitor displays, including technical support for custom mounting monitors in a variety of portrait and landscape applications at sponsor booths. In addition to the plenary sessions and tradeshow, AVS provided audiovisual support for 24 breakouts with concurrent presentations. Our team was instrumental in the seamless execution of this major learning conference. Founded in 2000, The Linux Foundation provides unparalleled support for open source communities through financial and intellectual resources, infrastructure, services, events, and training. Working together, The Linux Foundation and its projects form the most ambitious and successful investment in the creation of shared technology. You can learn more about The Linux Foundation and the event here. 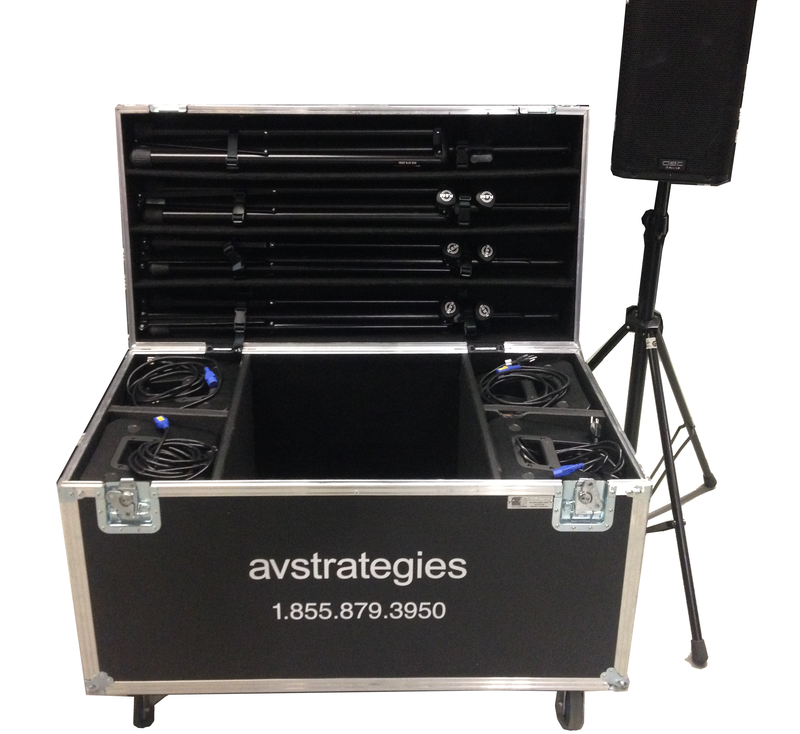 In May, AV Strategies provided the audiovisual support for the G7 Finance Ministers Symposium in Whistler, BC. The Honourable Marie-Claude Bibeau, Minister of International Development and La Francophonie, and the Honourable Bill Morneau, Minister of Finance, along with Stephen Poloz, Governor of the Bank of Canada, co-hosted the meeting of G7 Finance and Development Ministers and Central Bank Governors. Cantrav, one of Canada’s premier destination management and event production companies, hired us to deliver the audiovisual solution. That solution included audio, lighting, large LED flat panel displays, multi-camera video production, and a live stream of one of the sessions using IBM Cloud Video. Through our partnership with IBM, we stream video through our webcasting portal which provides a highly scalable and reliable platform for streaming both live and on-demand video. 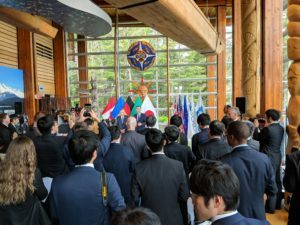 The secured closed-circuit stream was viewed by media and government staff in other venues throughout Whistler, so they could remotely participate in the meeting. This was another high-profile event that required AVS to deliver a multi-disciplined approach with complex technical and logistical requirements while having a minimal impact on the meeting. AV Strategies has partnered with Vancouver Civic Theatres and 102.7 THE PEAK Vancouver’s Modern Rock, to present a FREE pop-up concert series, Summer Sounds, throughout July and August this summer. This 4-concert series will feature top music headliners, delicious food trucks, and the always popular patio bar. Headliners for the pop-up series will remain top secret leading up to the event, so you’ll have to follow along on social media or listen to 102.7 The Peak for clues before the official announcement two weeks prior to each show. We will be utilizing our S100 mobile stage and providing full concert audio production. AVS will be posting the headliners on our Twitter feed as they are announced. The first headliner, performing Friday, July 20th has just been announced. Jon and Roy, a Victoria-based folk rock and reggae band, will kick off the series at šxʷƛ̓exən Xwtl’a7shn (formerly QET Plaza). It was a busy Canada Day weekend in Vancouver for AV Strategies. On Friday our client, GB Sound hired us to provide the audiovisual support including multi-camera IMAG, video projection, our D&B Audiotechnik V-series line array, and lighting for the President Bill Clinton along with James Patterson, who spoke about their new book, “The President in Missing” a novel that provides a front-row seat to the inner workings of the US political system and the Presidency. This highly attended event held in the West Ballrooms at the Vancouver Convention Centre required our team of audiovisual technicians to be extensively vetted by the US Secret Service. 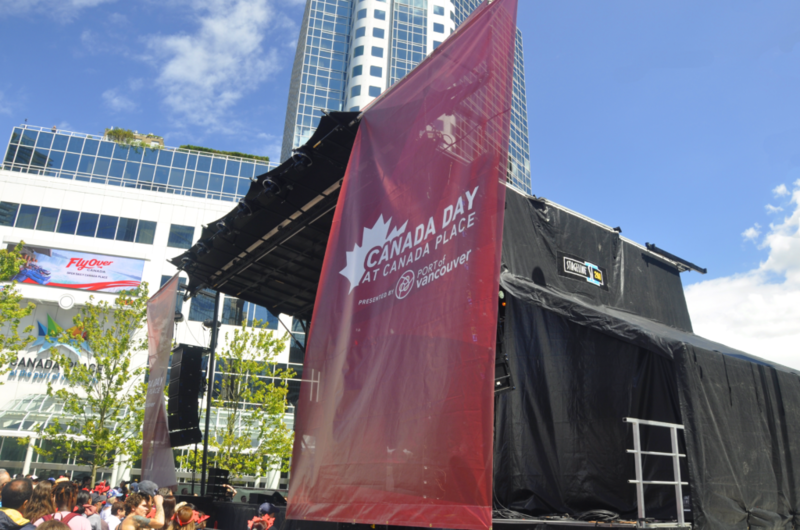 A day later, we provided our Stageline SL260 portable stage to help Vancouver celebrate the 151st birthday of Canada at Canada Place. 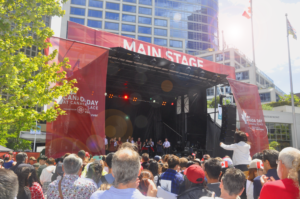 This award-winning event, presented by the Port of Vancouver, is the largest Canada Day celebration outside the nation’s capital. Our client, BRANDLIVE, deemed the SL260 to be the perfect stage to handle the variety of acts performing and to accommodate the City of Vancouver’s stringent time requirements for load-in and load-out. We set-up the stage and lighting, on the evening prior to the event and were ready for performances that took place throughout the day on July 1st. The performances concluded at 6:00pm and we had the stage packed up and cleared by 8:30pm, well before crowds moved in to enjoy the fireworks. While the weather cooperated for the most part, it was nice to have the covered wing for the monitor mix position. A special ceremony was held in Vancouver today to announce the names of two high-profile public plazas will be given Indigenous names. Our client, The City of Vancouver, hired AV Strategies to provide full audiovisual support for the event. We deployed our SL-100 Stageline portable stage to provide the outdoor venue for this significant announcement. Vancouver Mayor Gregor Robertson was joined at the event by the Honourable Jinny Sims, the provincial Minister of Citizens’ Services, and others from the City to preside over the announcement. In addition to the SL-100 Mix Mobile Stage, we provided audio support and lighting. Our new Elation LED Blinders were used to eliminate shadows and enhance the camera shots for the media who were on hand to cover the event. Large meetings and conferences involve many moving parts. There’s F&B, transportation, vendor management, presenter support—the list goes on. While an extraordinary amount of thought and energy goes into the stage design, décor, lighting, and audiovisual components of large plenary sessions, often the breakout rooms are given less consideration. But in fact, some of the most relevant and valuable content at a conference is delivered through the breakout sessions, so making sure they go smoothly is vitally important. At AVS we understand this. Our years of experience supporting conference organizers and presenters at breakout sessions tells us that the information delivered at the breakouts is equally as important to the presenter and the audience, as it is to the keynote presenter in the main tent. We strive to deliver quality and consistency in each and every breakout room. We have developed equipment packages in truck-pack, tour rugged road cases that include everything required. 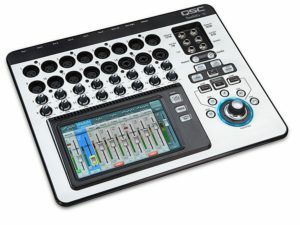 For audio support, we deploy QSC Touchmix series digital mixers, which include EQ, time alignment, and compression built in. We carry Shure Wireless microphones and use the Shure Wireless Workbench software for frequency management. Each room includes a PC DI box for computer audio inputs and a wireless cue advance device with integrated laser pointers. 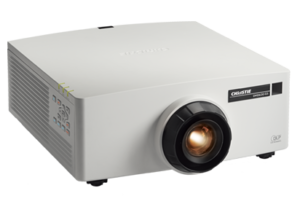 For visuals, our clients can select between our complete line of LED flat screen displays ranging from 40 to 90 inches or for larger rooms, we are now spec’ing our inventory of Christie DHD630-GS 5K Digital laser projectors. These laser projectors have the advantage of providing a very bright, crisp, HD picture with an incredibly high contrast ratio, making the content look amazing. They’re also whisper quiet, which is important in smaller rooms. The breakout experience can have a huge impact on the attendee experience and an even bigger impact on the presenter experience. To manage specific breakout requirements, we have an electronic form that can be completed by the presenters, so they fill in exactly what they need. These days there are numerous types of proprietary connections and adapters to connect laptops and projection devices. Presenters don’t always travel with the adapters they need, nor do they necessarily have the knowledge to connect their device to a projector. Our breakout room packages include all the technology to provide seamless support and our competent technicians ensure the breakouts run smoothly. We staff breakout rooms to ensure presenters always have the support they need. And because our breakout packages include digital mixers, our roaming audio tech can visit each room and adjust audio levels directly from their iPad tablet interface. Event planners shouldn’t have to be chasing down the in-house AV tech who is on another floor setting up equipment for another client. The right equipment along with dedicated resources will prevent the 15 minutes of panic that is all too common every time a breakout session starts. The Fair at the PNE was a roaring success again this year. Vancouver experienced the best weather in years during the Fair, which helped bolster the size of the crowds throughout the two week festival. The Fair is considered the best part of summer with exciting exhibits, rides, nightly headline entertainment and plenty of food and drink. Once again AV Strategies played a pivotal role in the Fair by providing much of the AV, sound, lighting and, of course, our Stageline SL-100 along with the the PA system for Festival Park. In addition to Festival Park, we provided audio and lighting for the Plaza Beer Garden and full stage lighting for Summer Night Concerts at the PNE Amphitheatre, which featured act such as ZZ Top, the Doobie Brothers, and the Pointer Sisters. On the last weekend of the Fair, the Amphitheatre stage became the venue for iHeartRadio Beach Ball, featuring big names like Lorde, Train, Serena Ryder, the Philosopher Kings, and many more. In the Pacific Coliseum we provided live cameras and video projection using our new Christie Laser Projectors along with the audio system featuring our new d&b Line Array. This underscores our ability to provide audio for large venues such as the Coliseum with over 16,000 seats. The Pacific Coliseum provides the venue for both SuperDogs and UNBELIEVEABLE: A Magical Experience. These shows are big crowd pleasers throughout the Fair. 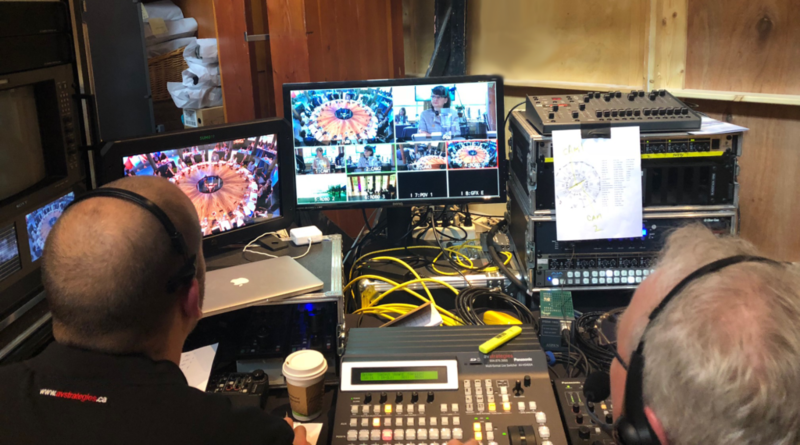 Again this year, we supported the Fair’s Entertainment producer, Patrick Roberge Productions, by producing multimedia content to enhance some of the live shows. We are proud to be selected as a vendor for the Fair and to be part of this Vancouver institution. 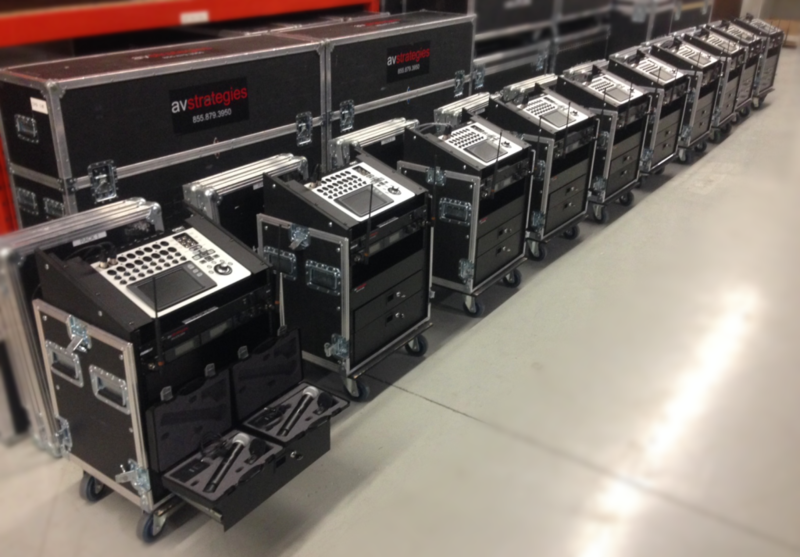 We have recently added the D&B Audiotecknick V-Series line array system to our national inventory. Our packages incorporate a mix of V8/V10 mid-highs V-GSUB subwoofers, Y10P point source loudspeakers for front fills, and D80 amplifiers – configured for Array Processing. Comprised of both line array systems and point source solutions, the V-Series is the answer for any medium to large scale sound reinforcement application. The 3-way passive loudspeakers all share the same dipolar driver arrangement, while the subwoofers all exhibit D&B cardioid technology. In short, the V-Series is a verifiable recipe for success. We recently deployed a system in Vancouver’s Pacific Coliseum for the Fair at the PNE. Feel free to learn more about the Audiotecknick V-Series here.